These icons are not only price-free, they are also restriction-free. They have been licensed under the GPL, which means that anyone is free to use them for their personal or commercial projects! This is the same license that WordPress is packaged under, which makes these icons especially useful for theme and plugin developers. 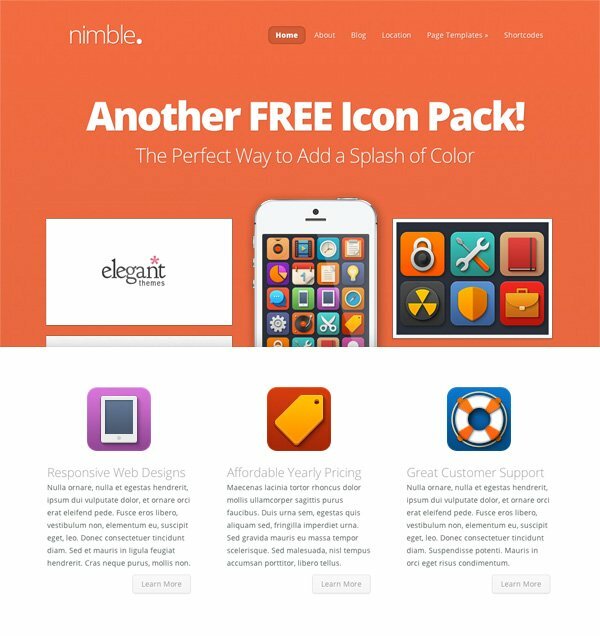 Download these colorful Softies Icons designed by ElegantThemes.com. In case you were wondering how you might put these icons to use, here are some examples of how they might be used in our Trim and Nimble themes. A lot of our themes come with blurbs on the homepage where icons can be added to accentuate your message. If you have been struggling to find the perfect icon to use, then look no further! Fantastic. Can’t way to use these. Thanks! Very colorful. Already thought of two client sites where I can use them with ET themes. Thanks a lot! Gorgeous icons! Man, you have good designers! And thanks for set it free!!!! These are fabulous icons Nick. You are fast becoming the Icon Guy as well as the Elegant Guy. OK, these are just fun. Nice job, ET team! The images on this page do not work. Wow!!! Freakin’ AWESOME Icon set!!! Any chance of making an icon set for those of us in the photography niche? It’s so hard to find good icons of cameras, lenses and photo related stuff. Pretty please. Is it just me or this icon set looks striking familiar with the one we originally created on PixelKit? Don’t know who did this set for you but it’s clearly inspired (to put it respectfully) from that icon set called: 5 O’clock Shades. Very nice. Thanks for the freebie. Muy útil, como todos los recursos que nos regaláis… ¡muchas gracias! Really impressed with all the blog updates and these free icons too! Keep up the good work. These are beautiful. Are they going to be incorporated in the new theme somehow? Thanks guys, love these freebies. You are the best ! thanx ! Superb! These are beautiful! I really appreciate it! These will really help out when adding those finishing touches to a website. 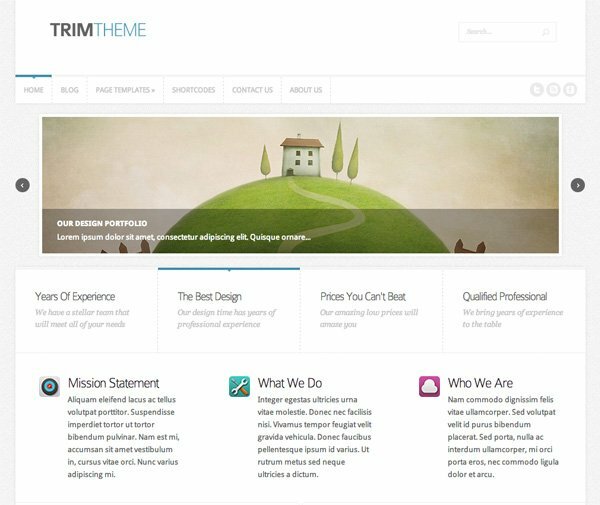 Since the very beginning, ElegantThemes has been elegant in their offerings. And their new efforts to maintain their place up high on the premium-theme totem-pole is only exemplified by their continued release of tasty freebies like this one. Bravo Elegant, and thanks so much! You add real value to your customers. Really things like this icons is that made websites go to next design level. Love Love Love these! I Love color and fun, so these are great! Thank you oodles and bunches! Love Love LOVE these…the colors, everything, are no great. Thank you bunches. Wow, there are beautiful icons – such lovely clarity and colors. Can’t use them at the moment but will definitely save for the future. Thanks…..
How do we use these? Upload to media files? Yes. Standard media files are the way to go with these. Hopefully the sizes we provided at least get you started, but the packaged PSD files should allow you to customize if needed. Wow, I just love this set folks!!! Too Apple centric 😉 but very beautiful indeed! Thanks for releasing such free package, it is a welcome blessing to the community. To a novice like me, how can I install or incorporate them on my blog and post? Elegant Themes will be always my favorite. This is really something… Thanks for creating these lovely icons guys, big help…. Keep up the great work! Loving the regular blogs and updates. I’ll be staying with elegant themes if this continues. Nick is indeed making our club membership colorful and fascinating. Thanks a million! Very nice set of fonts! Thank a lot! Thank’s ! Great icons ! Enserio tios… Solo son unos iconos. No es para tanto. Amazing icons, thank you very much! This could look too much like some icon set I’ve seen, which is flat and has color but looks dull. This set uses dull colors too (sorry) but it’s very pleasing in how the details have been brushed up. This has something making me think of the Faience icon set also. So the problem in the other set was not the color, just the overall result. Thank you for making this set, this is a good contribution to the world of flat design. Great icons ! Can’t wait to use them. Thanks a lot. so generous of you. When some one searches for his vital thing, thus he/she needs to be available that in detail, therefore that thing is maintained over here. Love the icons!! However for the life of me I can’t figure out how to edit them… they seem to just be smart objects and I can’t figure out how to get them into a vector? hi, how i can make a icon in order to show on homepage at beside page title (service icon),,,,??? Awesome icons! Thanks for share.